Katrina McHugh | Why Move When You Can Stay In The Home You Love? Why Move When You Can Stay In The Home You Love? Age In Place......It's An Option! Today, more families are seeking alternative options to long-term care for their elder loved ones. The opportunity to take charge of personal health and wellness is a shift that modern society is paying close attention too these days. Why are so many people who are faced with making decisions related to aging, choosing to live out their golden years in the comfort of home with a live in family or friend? A thought of moving into a retirement home usually begins when managing daily routines becomes difficult to keep up independently, so calls for help start happening to avoid injuries and feel safer and connected. When this starts happening, it can feel like moving is the best option to stay comfortable and safe. Does moving an elder parent from a fully furnished family home into a nice, yet tiny dorm room make sense for today’s dignified families? What will happen to your families’ belongings before a move into a smaller place can happen? Many people will downsize by storing, selling or giving possessions away, so that the new residence will be uncluttered for personal health and safety reasons. From an adult child’s perspective, what will happen to your family home if the aging parents decide to move in with you? Especially if de-cluttering your own stuff needs doing. Has upsizing into a larger home been discussed to accommodate many possible family members’ privacy, space and belongings? How would life work if we all moved in together? Will our joint equity and assets give our family more flexibility to hire more help when needed? Often, people make a choice to move into a retirement living community so they can live a more manageable lifestyle. A common belief is that retirement residences will have help available when needed. It’s also believed that the physical environment will accommodate long-term accessibility needs if a loss of mobility occurs. Unfortunately, this can’t be possible in either scenario because barrier free design isn’t required under most residential building codes and help with homemaking or personal care would cost too much money for most retirement homes to include in monthly rental fees. Yes the social aspects are great, although community/cultural centres and social environments for senior adults and elders are available in most urban communities as an alternative to paid social activities. 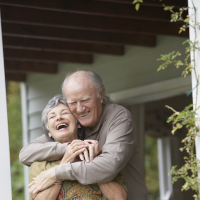 Moving into a retirement home will often present some of the same challenges as the existing home. If an injury or illness occurs, performing activities of daily living becomes difficult to keep up independently, no matter where you live. Hired help will be brought into the retirement home when personal care attention is needed. Moving into a nursing home is a common solution for people who need full-time help, although this personal help will cost over and above the standard living expenses anywhere you go. This is why many of today’s families are choosing to adapt their homes to meet the long-term care & accessibility needs of multiple generations of family. By bringing a mix of family, private and government provided care services into the home, it allows for a more economical and comfortable consideration that avoids having to move away from home when natural changes in lifestyle occur. What improvements should be made to stay in the home with family members/care givers? Modifications can be made to houses, condominiums, retirement homes and long-term care facilities alike. Adaptations are made so that residents are able to live, work and play to the best of their abilities with minimal need for help, this is because accessibility achieves greater independence. Considerations should be made to promote independent living and fall prevention, this is to make sure that long-term accessibility is possible in the home for all family members. Contacting a trained professional that can do a safety and comfort assessment can help name risks and prevent major injuries at home. You will begin to realize that by making the right changes, it will allow you to live more comfortably and stay independent in your own home for as long as you want!